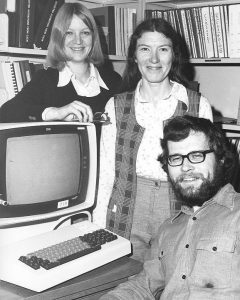 UBC Data Librarians in 1975- current librarians appear in colour. Please let us know in the comments if you access the papers, and anything interesting that you find! We are still digitizing newspapers from all over British Columbia, with no end in sight.